We spent part of Labor Day weekend touring Baltimore, primarily around the Inner Harbor area visiting the National Aquarium, Fort McHenry, Port Discovery Children's Museum, and the USS Constellation. While the places we visited were really quite worth the trip, I stand by my initial impression of Baltimore. Yes, fish in tanks. But the way Baltimore's National Aquarium is laid out is very interesting. In one area, you end up crisscrossing over one of the larger tanks, and you can still see massive sea turtles from above at the higher levels. There is also a rain forest area in another section of the building with spitting fish. They spit water at crickets to knock them off branches and then eat them. All it took was a couple of emails and some (subjectively) awesome content, but The Passport Stamp Collector is officially listed on the American Foreign Service Association's Foreign Service Blogs page. You have to scroll down a bit to the "Both Spouses" category, but we're on there! 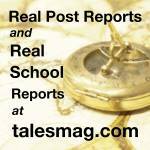 While I'm at it, I'll recommend checking out our About Us page and some curated posts listed under the "Summary" label. So my next challenge is how to get more traffic to my site. I'm still in the early stages of what might be called "marketing and branding." It's surprisingly hard to come up with clever, coherent, and memorable social media accounts...but I've settled on these two: Instagram's @WorldTravelRRR and the #TravelRRR hashtag. Other than that, I've started reading through digital marketing blogs like Nomvo.com to learn about other aspects of digital presence. I spent this past Friday evening at an event organized by the International Club of D.C. at the Royal Embassy of Saudi Arabia. The evening was organized this way: Non-alcoholic cocktail quarter-hour, Video Presentation, Q&A, Fashion Show and Dinner. I arrived a little late, so I had to grab my unspiked orange juice and head directly into the FDR/Abdulaziz Room. 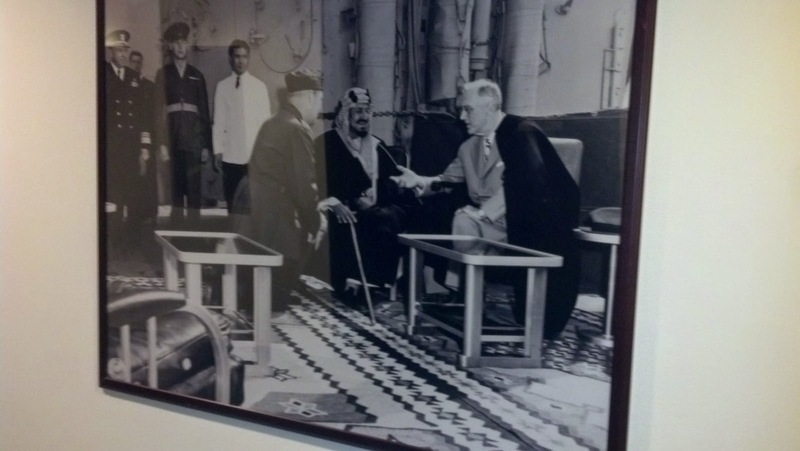 This small auditorium is dedicated to the meeting between Ibn Saud (Abdulaziz)--the first King of modern Saudi Arabia--and Franklin Delano Roosevelt on February 14, 1945 aboard the USS Quincy in the Great Bitter Lake of the Suez Canal. It's fitting since this was the beginning of official diplomatic relations between the two countries. The video presentation had a bit of a propagandist feel to it, but wasn't worse than anything I've seen the U.S. produce. It covered a brief history of the Arabian Peninsula, Islam, culture, economy (including recent diversification) and modernization of the country. The city we are headed to, Jeddah, is very close to Mecca and the road between the two cities used to be one of the only paved highways in Saudi Arabia. (Jeddah is on the coast and a port city for the annual Hajj). Anyway, it gave me a warm fuzzy feeling about moving the KSA. 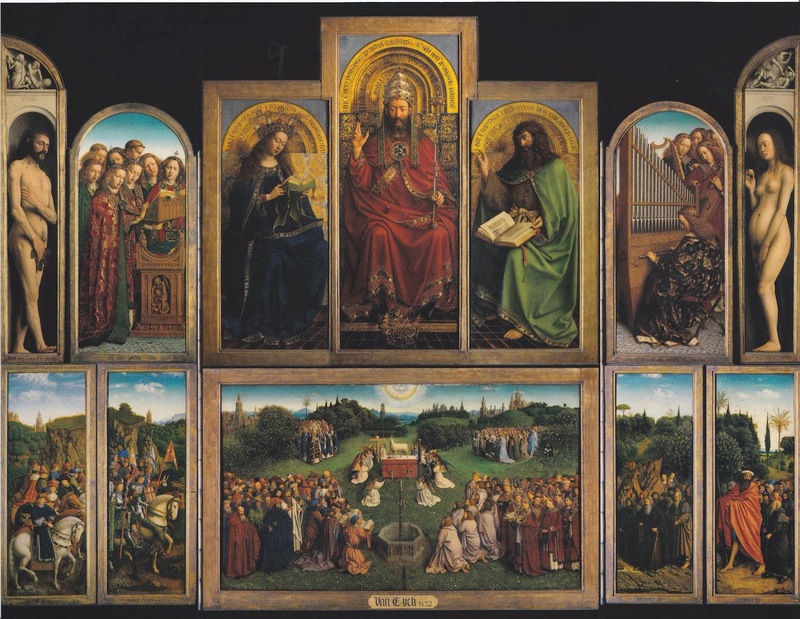 If you have an extra day in Brussels, Belgium and want to see some famous works of art, might I interest you in what I call "The Momuments Men" day trip option to Bruges (aka Brugge) and Ghent (aka Gent)? If you're not familiar with The Monuments Men movie , it's loosely based on a WWII mission to protect the treasures of the Western world from the Nazis. It also happens that both cities are within an hour's train ride from Gare du Nord on the same train route from Brussels.